Viral Vector is a type of virus used in cancer therapy. 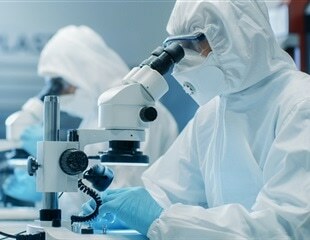 The virus is changed in the laboratory and cannot cause disease. Viral vectors may produce tumor antigens (proteins found on a tumor cell) to stimulate an antitumor immune response in the body. Viral vectors may also be used to carry genes that can change cancer cells back to normal cells. Viral Vectors - What are Viral Vectors? Researchers at Duke University have shown that a single systemic treatment using CRISPR genome editing technology can safely and stably correct a genetic disease -- Duchenne muscular dystrophy (DMD) -- for more than a year in mice, despite observed immune responses and alternative gene editing outcomes. Nerve axons serve as the wiring of the nervous system, sending electrical signals that control movement and sense of touch. Cobra Biologics, an international CDMO for biologics and pharmaceuticals, today announced the appointment of Dr Darrell Sleep as Director of Innovation. UCLA researchers led by Dr. Donald Kohn have created a method for modifying blood stem cells to reverse the genetic mutation that causes a life-threatening autoimmune syndrome called IPEX. NEC Corporation and Transgene today announced the signing of a Memorandum of Understanding for a strategic collaboration aimed at the treatment of solid cancers. A Puerto Rican patient with X-linked retinitis pigmentosa (XLRP) is hoping to save his vision after an innovative gene therapy procedure at Bascom Palmer Eye Institute at the University of Miami Miller School of Medicine. Out of every 60,000 births, a baby arrives to face the world without a fully functioning immune system leaving them unequipped to fight even the most common infections. Cherwell Laboratories, supplier of environmental monitoring and process validation products, has confirmed its continued support for the Pharmaceutical & Healthcare Sciences Society - UCL Q3P Annual Conference 2018. A fatal neurodegenerative condition known as Gaucher disease can be prevented in mice following fetal gene therapy, finds a new study led by UCL, the KK Women's and Children's Hospital and National University Health System in Singapore. A study has shown that a viral vector can deliver genetic material to damaged kidney cells, potentially providing a treatment that can slow or reverse chronic kidney disease. Stroke is the most common cause of adult disability. This is due not only to the high incidence of stroke, but also because spontaneous recovery is often incomplete and no drugs are available that hasten recovery.